to New Quay National School, located in the Burren region in North Clare. New Quay preschool opened in September 2018. This child care facility is born from expressions of interest from the current and future populations of the school, we are also offering a Montessori facility from September 2018. 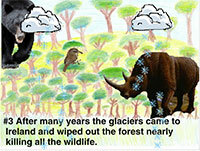 See our Scratch animation made in the school using the Scratch program.